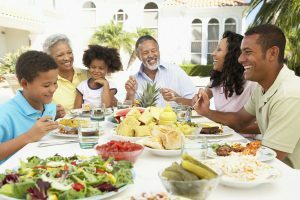 Home buying tips for large families | Southern Realty Inc. Home buying tips for large families – Southern Realty Inc.
Large families can bring joy and pride. But a large family will need a large home to meet their needs. If you are looking for a large home to fit your growing family, here are some tips that will help you choose a comfortable home to suit your family’s needs. Choose a home with a basement or attic space – A finished basement or attic is a great place to have friends and family over for meals or the night. Look for homes with basements or attics that are sizable to create different spaces within one single space. A big yard – A big yard will give your kids the opportunity to play, and your garden can also double up as an outdoor dining and entertaining space. Look for homes with at least four bedrooms – Homes with more bedrooms will provide more space and privacy as your kids grow. For more privacy, look at homes with at least two bedrooms with private half baths, which can make mornings a lot easier. Extra-large garages or multiple driveways – Large garages can double up as play spaces which can be enjoyed by the entire family. Make full use of your garage by adding shelving to store away your items on the walls of your garage. Divide your garage by allowing sufficient space for your car and your play area. Remember that garage spaces when used for play, should always include an adult to ensure your children are safe.